The Ruined City a.k.a. 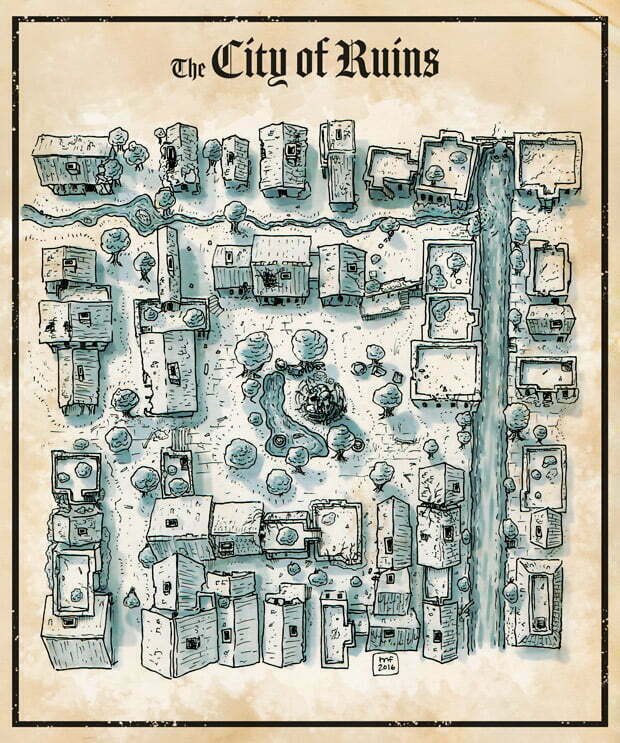 The City of Ruins was requested by one of my $5 patrons who wanted to have a map of a part of a gigantic ancient city that lies now in ruins. Because of the deadline, I got a little help from my colleague, who did a quick sketch of the city layout on computer and I drew over it and added the details and shading. It was actually a very interesting mixed technique to work with. I might try that in the future again.